Coffee is a very popular drink in Vietnam. However, did you know that this is also a favorite of many countries in the world. 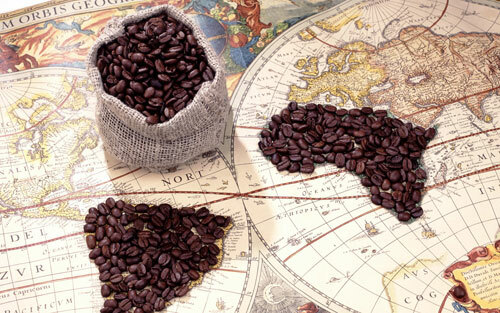 However, going through each country is different, coffee will be enjoyed in a completely separate and different style. Let’s see how to drink coffee in unique countries to understand more about coffee culture in the world. Mazagran is a type of coffee in Portugal with a special combination of sour and sour flavors that makes this coffee taste different from other coffees in the world. People make lemon and black coffee in a ratio of 1: 2, then add sugar to the mouth and put it in and just enjoy. Eiskaffee is a popular and popular coffee in Germany. Coffee with a combination of vanilla ice cream makes this drink more unforgettable. The Germans put vanilla ice cream in the cup and put the coffee in, finally a layer of whipping cream and a little bit of chocolate sprinkled on the surface was enough to make the coffee attractive. Perhaps there is no need to say much about iced milk coffee because it is so familiar. Unlike some countries that use fresh milk, in Vietnam, they like the strong flavor of coffee, so sweetened condensed milk is preferred. Especially with a direct mix of filter for hot coffee dripping into milk to create a flavor that makes many foreign tourists more unforgettable. Coffee in France is enjoyed in a different way with two main ingredients, coffee and hot fresh milk mixed together. This is a favorite French breakfast. The Greeks used instant coffee with quite a bit of sugar. A special feature here is that coffee will be mixed with a little cold water and beaten to dissolve it. Then people put in ice and finally a little cold water. This is the favorite drink in the Greeks in the hot summer.